What’s the difference between a healthcare need and a social care need? Many families feel exasperated when they receive a letter saying NHS Continuing Healthcare denied. You may have been through the local-level NHS Continuing Healthcare assessment process and been told that this funding is being refused. You may be wondering what your next step should be. If you have grounds to believe that the funding decision is wrong, you can appeal. But what should you do first? Write straight back to the Continuing Healthcare team and state that you disagree with the outcome. State also that you will be appealing, that you would like information on the appeals process and that you will be submitting detailed reasoning for your appeal in due course. The process: Write down all the things that have been done incorrectly/badly in the Continuing Healthcare assessment process – right from the start. This could also include any intimidation, obstruction or delay you feel you’ve encountered, untruths you believe you’ve been told by assessors, failures on the part of the NHS to put together a full multidisciplinary team at the full assessment, failure to follow the National Framework guidelines, unacceptable behaviour by assessors, etc. The eligibility criteria: Write down all the inaccuracies, misstatements of fact, misleading comments and omissions in the Checklist and/or DST report(s). Also include reference to evidence that has been ignored. Also, be sure to set out the scores you believe your relative should have been given in the assessment, and show how their needs match the eligibility criteria for NHS Continuing Healthcare. The NHS may offer you a Local Dispute Resolution Meeting initially – but reports from families show that this is usually just an opportunity for NHS assessors to try to persuade you they’re right. You may need to argue instead for a repeat assessment or apply for an Independent Review Panel hearing at regional level. My husband has been in a nursing home for 2 years . We are privately funding this. He was diagnosed with Alzheimer’s in 2013. He has had a diagnosis of essential tremor for over 30years. He has not been able to feed or drink by himself for about 4 years. In August he began to suffer enormous blisters. The GP had no idea what it was and it was October before he had an appointment with a dermatologist. She knew right away it was, she wanted to know how he had to wait so long to be seen. She is thee emergency dermatologist and he should have been seen within 48hours. She was shocked at the state of him, he looked like burns victim. All the treatments prescribed by the GP were wrong and had excabereated the problem. The diagnosis was Bulbous Pemphigoid. If he had not been in a nursing home he would have been admitted that day. As a result of it not being diagnosed early he is now totally immobile .He could not walk because of the blisters nor could he use his arms or ease his bottom. The blisters were Huge and everywhere including his genital. He is now doubly incontinent,he can only pass urine and pass urine when he is hoisted, as he has an enlarged prostate. He has to have thickened drinks as he has swallowing. Despite all this he has been declined NHS Continuing Healthcare funding. Is it worth the stress an worry of trying to appeal? Hello, last April my mother had a 12 month NHS Continuing Healthcare (CHC) review resulting in CHC being withdrawn. Sadly I lost my mum in January this year. I felt I had been ambushed at the review in April and that my mother’s condition had not changed for the better since she was originally given CHC funding. So we decided to challenge the review outcome. I contacted specialist legal advisors who have in house nurse advisors. They reviewed the papers/risk assessments etc. and advised CHC should not have been withdrawn. They then prepared the appeal submission. The appeal panel hearing was last November which we won resulting in CHC being restored. Without specialist advice and support I doubt the appeal would have been successful. Be prepared though for costs which are not recoverable – even if you win at appeal. 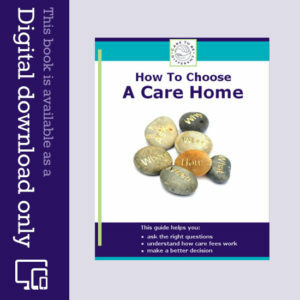 Care home fees are so high we decided the advice costs would be money well spent. How soon after being denied Continuing Healthcare can I reapply for my mother-in-law? In a recent Retrospective Review Decision Support Tool carried out by a four member Multidisciplinary Team (MDT) (and which my brother and I were not allowed to attend even though we are the patient’s next of kin and we had power of attorney) the Panel made the recommendation of non-eligiblity on behalf of the CCG. Can they do this? As we appealed this decision we have been offered a Local Resolution meeting with the Nurse Manager of the Continuing Healthcare team and the Nurse Assessor who completed the Needs Portrayal for the Retrospective review. Neither were on the MDT panel. Is this correct? If we are dissatisfied with the result of this meeting are we allowed to attend the Independent Review? Hello, my mother before she was discharged from hospital in Jan. 2016 was assessed for Continuing Healthcare (CHC). At the end of the Multidisciplinary Team (MDT) assessment I was told there was little doubt my mother qualified. Subsequently it was confirmed. They didn’t give me a copy of the Decision Support Tool (DST) paperwork and as she had qualified I was not that interested. She has just been reassessed and the MDT review for CHC to continue is negative. At the review I said the DST Jan 2016 assessment should be looked at so where was it? The NHS person said the DST review carried out 12 months ago is irrelevant so no need. I said I thought it is highly relevant to understand what has changed since then – but I am not sure? 1. On cognition it said, ‘has no capacity and cannot make complex decisions’. So I am now very puzzled why under Cognition she was not scored by the MDT ‘Severe’, instead of just ‘High’? 2. On Mobility it said, ‘has great difficulty to reposition herself in bed. She is fully dependent to be repositioned.’ It also says ‘… is non-weight bearing and cannot mobilise’. That suggests my mother should have been scored ‘Severe’ under ‘Mobility’, not moderate? I think the NHS were trying to play down the above key matters. At the MDT meeting, the care home sent a regional manager who had no personal knowledge of my mother and a nurse who had only been with her for a month. Also, any thoughts on paying an independent healthcare person/nurse to do a review for me? Just posted question about signing DST. No need to respond as just rediscovered it! Please can you help – I can’t locate the bulletin or conversation thread where I recall reading some useful information in regard to what to write on a DST when asked to sign to agree the comments or domain scores on a Decision Support Tool (DST). It went something like you advised to put you were signing to say you had attended the meeting, but not to say you were agreeing findings and the contents of the DST, as a safeguard in case if the assessors went away and amended or changed the content; it would appear you had ‘agreed’ with a revised DST which may no longer be a true reflection or picture of needs as you signed. On 16.8.16 I am attending a ‘review’ meeting of my mothers Health and care needs which will determine if her NHS Continuing Healthcare (CHC) continues, so would welcome any advice. It was I think about preventing the assessors or CCG from later saying the family or representative of person being assessed had agreed the outcome of the DST at the Multidisciplinary Team (MDT) meeting only to find it had been amended or altered after further work done on it that did not truly reflect what went on and nay therefore affect eligibility or outcome of CHC funding. Cannot recall where this was posted or if in response to one of the many threads. Angela, Thank you for your reply and confirmation my understanding is correct. Fingers crossed for the review when it ‘restarts. Thanks for your reply. You identified the term correctly – rediscovered it just after posting enquiry. What I would like is some new help. Using your website gave me all info I needed to ensure correct process was followed to secure full NHS Continuing Healthcare (CHC) funding for mum, avoiding the pitfalls! Recently a review of her care needs was arranged by nurse assessor from the CHC funding team. I tried looking up what should happen at these meetings so I didn’t go unprepared, and found little info on what the stages or processes were that had to be followed, except a few paragraphs in the National Framework saying if someone has a successful with, existing DST and is fully funded then unless there are ‘material’ changes their funding should remain in place. If there are material changes these should be identified by going through the existing DST domain by domain and recording any significant changes then gathering eveidence. During the review meeting, which wasn’t taking this route, I pointed out these paragraphs as what I understood we would be doing as mum was fully funded, she said oh we are not at that stage yet – I am completing this form first, I believe it was a referral form to request a review of ms health and care needs as I have a copy of such a form from mum’s current DST paperwork. She indicated that she thought we were in the ‘material’ changes area and needed more evidence, as nursing home notes not comprehensive. She also said that a full DST would need to be done and sent to the local CCG panel. Is this correct for a review of CHC funding? I can’t find any info on procedure for continiuation of funding reviews to check if the proper process is being followed to challenge if not. Following the assessor saying she needed more evidence re behaviour in relation to mum not always being accepting of personal care although this at present is not causing health problems and her nursing home is keeping her well and accept mum has bad days and good days I. E. unpredictable; also complex health needs and physical disabilities. A second meeting was arranged at which a mental health nurse assessor and nursing home matron attended too with original CHC nurse assessor. As they had gathered evidence, a month of behaviour sheets, which I haven’t seen in total as sheets not always in mum’s room, it soon became very apparent to me they were going to say the nursing home she is in was not able to meet her needs and therefore she would need to move to a home that had a mental health nurse on the staff, which her current one does not – despite listing dementia as one of the conditions the home accepts. The shock came when the matron agreed the home wasn’t meeting mum’s needs in reliably being able to give personal care. So stunned was I that I didn’t challenge that as she had never given us any indication mum posed a problem in this respect. Or was it because suddenly a pre-prepared handwritten list of care homes was produced of those they considered would best suit my mums needs! I asked how this affected their review of my mums health and care needs and her CHC funding status and was told don’t worry about that we will ‘park’ that for now. Once mum has moved into a care home that better meets her needs and has (here’s the buzz word) ‘settled’ in we will restart the review as then we can be certain the outcome of the review is robust! My interpretation of that is once her vascular dementia behaviour is being managed it will be deemed to have ‘improved’ or gone away and therefore will reduce its impact on all her other domains and ooh guess what her funding gets taken away as all needs are managed. I know managed needs are still needs but have little confidence mum will get her CHC funding renewed and she will have been up rooted, unsettled and at 91 and frail who’s best interests are being served. Any advice on how to deal with this making certain review process is being correctly followed and what paperwork should I ask for copies of to ensure I as my mums next of kin and advocate for her at all assessments and health appointments would be truly welcomed as I fear I can’t fight what I don’t know. Anne – I think you could be right in your suspicions. You’re correct in your assumption of what should take place at a review (i.e. the previous DST should be reviewed in the light of ongoing care needs). As in an initial multidisciplinary team assessment, the assessor cannot take the actual funding decision; he/she can only look at things from a clinical/care needs point of view. The actual funding decision is made by the Clinical Commissioning Group. As your mum’s representative you should have copies of all assessment notes and be invited to attend and input into all meetings. For the care home to only now admit that it has not been able to care properly for your mum is appalling. As you continue, hold fast to the principle of managed needs; it doesn’t matter how well they are managed, they are still needs. Hello I found the name of a document which is not the checklist or the DST – it’s title is only two words but I can’t seem to recall the website page or source I found it on this morning! My mum has chc funding which is or was being reviewed it now halted as they say her current nursing home no longer meet her needs as do not have a mental health nurse on the staff who are skilled in managing vascular dementia. I think it would be useful to ask and obtain a copy of the needs they obviously have identified to conclude her needs aren’t being met at the home she has been in for 2 and a half years now and yet will not continue with the CHC review until she has moved into more ‘suitable’ home and ‘settled’. Is it a retrospective care, Anne? If so, it may be the Needs Portrayal, perhaps? Please help me I’m totally out of my depth. My mother has full on set dementia and is now in her fourth home, the last one being a nursing home and she has been awarded the nursing funding of £112 pw. Behaviour – moderate, Cognition – severe, Psychological Needs – no needs, Communication – low, Mobility – high, Nutrition – food and drink – low, Continence – moderate, Skin – low, Breathing – no risk, Drug therapies and medication – low, Altered state of consciousness – moderate, Other significant care needs – no risk. None of the comments that I was asked to add to the form prior to the assessment meeting were actually added to the form, such as she needs to be spoon fed by a carer and she sustained a black eye and has cut her face on several occasions when falling over and therefore this was not taken into account, which to say the least is very frustrating. My mother’s risk assessment seems ridiculously low and on reading this form with the evidence presented without knowing the full situation I can see why she was not been awarded anything. Hi Julie – the reports we receive from families indicate that these dispute resolution meetings are usually a forum for the NHS to try to persuade you that the decision not to provide funding is the right one. Take a look at the last paragraph the article above in that respect. It’s usually people from the NHS who are present at these meetings, and not necessarily those involved in the multidisciplinary team. Be sure to argue your case hard, don’t give in to pressure and insist on either a repeat assessment or an Independent Review. Has anyone ever been ‘scored’ as severe for mobility? My father was an incomplete tetraplegic with severely limited sensory function and mobility prior to suffering a major stroke which has now totally paralised his right hand side and left him with no mobility, no communication and severe cognitive impairment. At his OHC assessment he has been ‘scored’ as high for mobility, however I simply cannot see how anyone could score severe? Thank you. I have known people receive a Severe score for mobility, Rachel. It could be that the score in your father’s case is wrong. Remember that the assessors should also take into account the degree of risk to him – e.g. pressure sores, pain, etc – including if he is moved. Reading this thread has been incredibly helpful. Thank you all. I don’t want to go through the whole situation of my own mother as it is very similar to the stories above. I am at the stage where I am appealing the CHC assessment. I was just told on the phone with regards to the appeal that I should be aware that I can ‘only appeal the process and not the outcome’ and that all it would mean is that if successful, they would only recommend another assessment. I’m curious to know if anyone knows if this is actually legally correct. I thought the whole point of appealing was because of both the process but most importantly the outcome. Any advice welcomed. Absolutely right, Keith – you can certainly appeal the outcome. It’s likely to be the process followed that has led to an incorrect outcome, but it can also be the way the assessors have applied and interpreted the eligibility criteria. David – it’s not unusual for assessors to decide in advance whether someone will or will not be eligible – and that’s quite wrong of course. It’s not unusual for the person being assessed not to be present during a DST meeting – and it some ways it’s kinder that way, as it can be really uncomfortable talking about someone’s care needs and arguing with assessors about those needs while the person is in the room. That said, though, the assessors should know the person (i.e. your mother) – know her needs, have read her care notes, and take your own input into full account. Yes, I agree.. because.. caring family wish to eliminate that stress from their loved one. But then, how can the DST be accurately completed by an NHS professional who only knows the INDIVIDUAL from two sentences “How are you today?” and e.g. (WHICH I DID NOT LIKE – AS A MULTI-PART QUESTION) “Do you know where you are?” and “Are you happy to be here?” ; “You look good, you are not in any pain, are you?” Answers to which were “yes, yes.” QUOTE from NHS Professional: “Are you happy not to attend this meeting? It will be long and quite boring? Answer: “Yes, Yes”. Who exactly ARE we up against? Many families report the same thing, Elaine. A vulnerable (and often confused) elderly person is asked random and yet often leading questions by assessors. Then the “yes” or “no” answers are used to establish a false picture. A few points for Simon: It’s only the end of the road if you agree with the outcome. Otherwise you can appeal. Even though you signed the Checklist, your signature does not necessarily imply that you agree with the outcome. I imagine the assessor didn’t explain anything about what your signature could mean. I have known people be put under huge and intimidating pressure to sign the assessment form at the end of a meeting, and for the NHS to then say that the person agreed with the final funding decision – when they have agreed with no such thing. If you come up against this, you can simply say that you signed as an attendee at the meeting – not that you agree with any decision the NHS subsequently made. My mother is recovering from 5 brain tumours, mild stroke, and various other ailments and suffered from a broken back which she broke whilst in hospital. She was assessed at having 3 A’s and many 6 B’s when she was assessed in Hospital. Now she was assessed in the Nursing home but failed to meet the requirements of Continuing Funded care. Is it right she would not be required to be present at the second assessment as the team seemed to be of a mind before the assessment that they my mother doesn’t qualify. We feel very angry in the way my mother has been treated and scored. Hi David, We had a similar scenario in that the Council assessor stated in advance that she knew what constituted a Primary Health Need and that my father in law did not meet the level. Oh and would you try to keep discussions short because the NHS assessor (who was not there yet), was running late and had to pick her kids up in less than two hours. It seems that patients are visited without our knowledge and assessed by the council on some occasions. The NHS locally, delights in reviewing my father in law every few weeks (on a “well I was here to see someone else and thought I would pop in on him while I was here”, basis). I have caught them (during my visits), three times in the last year alone. I am supposed to be informed of this. But I never am. My father in law reports that someone came to see him in his bed but seldom knows why. That is so wrong. Brief history, Mum (previously very able) had an undiagnosed fractured hip, was taken to hospital where she had two TIAs and a mini stroke. Despite this and within 2 days they operated on the hip. Under anaesthetic Mum had a major stroke which has left her a much-reduced person. The process earlier this week was the checklist. I guess what I mean about a high bar is that the questions seem to be designed to minimise those scoring above “C”. Ok, you are doubly incontinent but it can be managed so you are only a “C”. I accept that out of the 11 domains Mum only scores 3 at “B”, two we feel are somewhere between a “B” and a “C” and the other 6 are “A”. Thanks to the above posts I now understand this is the end of the road unless Mum deteriorates. But I still feel that this is wrong given that the NHS caused the situation by operating when Mum had just had a stroke; to this end we will be looking into the medical negligence aspects. Once again a big “thank you” to “Care to be Different” which has been a superb source of really constructive information. 1. Did you sign the checklist to say that you agreed with the decision ? 2. Did they give you a copy of the official completed checklist? If not, ask for one. 3. Did they take on board anything you said ? 4. I’m not sure from your posts whether you were stating what you felt to be the grades on the check list or the grades the assessor gave. Can you tell me the grades that were given by the assessor for the 11 domains. This is crucially important. If in the official completed checklist the grades are as you stated in your earlier post then they should have forwarded your mother for a Decision Support Tool (DST) assessment. Get back to me with this and I’ll look out for a post from you tomorrow to see if I can help further. Firstly I am sorry not to respond sooner. After the checklist situation, and in despair, I haven’t looked at this thread so did not realise anyone else had posted. I do hope you see this. To answer your query, I did sign the checklist but I did not get a copy. That said, in this thread I clearly confused things by muddling my C’s and A’s. For the record the answers were Behaviour – C / Cognition – B / Psychological – C / Communication – B / Mobility – B / Nutrition – C / Continence – C / Skin – C / Breathing – C / Drugs – C Altered states of Consciousness – C.
If you have a checklist as above it seems you are out in the cold; this despite the fact that Government definition of continuing health care is “care provided over an extended period of time, to a person aged 18 or over to meet physical or mental health needs that have arisen as a result of disability, accident or illness” which is what Mum’s situation is. Anyway, thanks again for the post. It must be the pressure … should read ‘the other 6 are “C” ‘ … apologies. Thanks very much Simon – it’s good to know the information is helpful. My mother is about to be assessed, this apparently will be no more than a nurse (on behalf of CCG) looking at mum’s records. I had thought it would be something more formal. Before the event she has already said mum is unlikely to be funded which makes one feel less than confident. What I do not understand is this. The scoring is clearly aimed at minimising those who are funded i.e. the bar is very high. Assuming there are no unfair answers and but the resulting score is inadequate, is there any point in appealing? On a more general point, if somebody needs care over an extended period to meet health needs that have arisen as a result of illness (the Government’s definition) how can that high bar be justified? is what they are doing a CHC assessment? If so,there should be a multi disciplinary team involved: Or are they doing a checklist? In any case no one should prejudge the outcome before all the facts are collated. As far as the bar being too high. It is not really, it is just that the local NHS organisations (and now it seems, the LA’s too), seek to make matters complex so that they can avoid the cost and place it squarely on the patient with (it seems), the connivance of the LA. That is of course when they actually know the rules in the first place which is often not the case. They are not above lying or the forgery of documents to get their way. 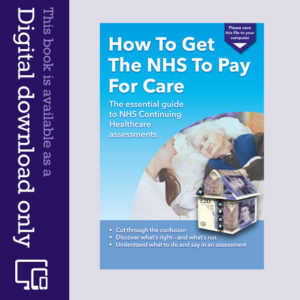 Nursing homes seem more recently, to be very quiet in supporting patients at assessments because often they will be able to charge considerably more from the self funding patient than they can get from the NHS or the Council. Well the checklist has been done during a somewhat edgy meeting where we felt as challenged by the deputy care home manager as by the assessor. We had Mum down for 5 at “B” and the end result was 3 at “B”. The remaining two domains we accept Mum is somewhere between a “B” and a “C”. Presumably then this is the end of the road but I still have one unresolved point in my mind (not articulated too well in my first post above). If broadly speaking you agree with the answers on the checklist, and if the resulting score is inadequate for a claim to go forward, is it the case that there is nothing more to be done on the CHC front? This seems a basic point that many must encounter – perhaps someone can offer a thought. Simon – It’s not unusual for families to be told that their relative is ‘unlikely to qualify’ before an assessment has even taken place, and yet. of course, no one can know that until the person has been assessed. In my experience, many people who are told that have significant health needs and the statement would seem either laziness on the part of the person who might have to do the assessment or a deliberate attempt to put the family off. There is also a huge problem with so-called assessors not actually understanding how the process works. Not a good situation. I know it might conflict with what you do but if I may: To answer Simon, we used an independent visitor that completed a CHC assessment of my mother. She came to very different conclusions to those of the assessors. Later she assisted us at an IRP with her independent professional opinion giving some weight to our own observations of my mum’s needs. Far too often the assessors claim the right to use professional judgement over the use of the descriptors within each domain. I also have a relative that had funding with only one high score and no severe’s. He kept that for five and a half years. I believe (and had it confirmed by an assessor), that patients are grouped by client type. (Client group is the phrase). It seems that dementia sufferers get lower levels of leeway in the use of professional judgement than say a quadriplegic. I have been handling my mother in laws application for CHC and we managed at a review of the DST to get two As for her and therefore a full review be undertaken and a full DST was produced as at 20th February this year. My brother in law and I then attended a MDT meeting to review this before it was put before the panel in early March. As a result they have not surprisingly declined CHC as insufficient need. 1 Severe 6 Moderate and 1 Low. But will this be enough. We know two severe is enough or to quote from the letter 1 severe plus ‘need sin a number of other domains’ or ‘ a number of domains with high and /or moderate needs’. Do you know of other experiences where people have been successful at these levels?? Is it worth pressing on?? Well my mum never even got an assessment done despite my repeated requests for this before she left hospital. The nurse told me that my mum could not have an assessment and she was fit to go home. She was promptly discharged and sent home and we are now faced with her medical issues that are getting worse. To update you , Angela , our appeal against the NHS decision to withdraw funding except for the nursing element was heard by an NHS Assessor, a Social Services person and the senior nurse at the Care Home and was unsuccessful. We will now have to take it to the next level as all the family are convinced we have a strong case to have the full funding restored. Meanwhile , my mother has been moved to a different care home nearby with a better reputation and we are having to pay large care fees as a result. The original care home gave one months notice to vacate and have employed solicitors to recover care home fees from us , threatening court action and legal costs if we don’t pay immediately. So our situation is not good at the moment but we do not intend to give in. My terminally ill & deteriorating uncle has lung cancer & has been awarded low level NHS funding ~£109 pw for nursing care after the 11 point assessment. I intend to appeal for full funding. He is under great pressure to move out of hospital asap. Whilst the appeal is considered (if necessary, through local, board, IRP, Ombudsman processes), does my uncle have the right to remain in hospital where he is now? The anxiety over this whole issue is causing him great stress and making him far worse. Meanwhile the NHS can spend a fortune on 40 page reports, reams of casework bureaucracy, and brand new 50″ plasma screens showing which patient is in which bed (this used to be done with a whiteboard & marker pen).